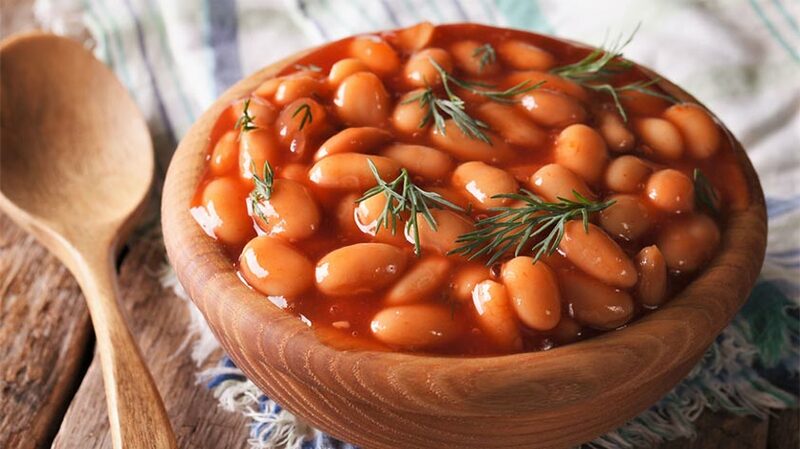 Home » Diet » Top 5 Health Benefits of Baked Beans! Haricot (aka in the US, ‘navy’) beans are probably more commonly known in their role as baked beans. How often do we take beans on toast for a quick warm lunch on a cold day for granted? When you strip away the sauce that your baked beans come in, you’re left with a creamy white bean with an agreeable texture, full of nutrients. Read on for more with our Top 5 Health Benefits of Baked Beans! Baked beans are high in protein, which is an essential aspect of your dietary intake for growth, repair and many more important bodily functions. Consuming half a tin of beans readily makes up 19% of your daily recommended allowance for an average adult. Being plant-based protein, it’s also great for the environment and adds to the variety of protein in your diet. Half a tin of beans covers about two toast slices worth of beans, with that half a tin containing 7.7g of fibre. Fibre helps with your proper and regular digestion and keeping you fuller for longer. There’s lots of evidence confirming that eating a good amount of fibre throughout the day can help reduce the risk of bowel cancer as well as other diet-related diseases. Eating 5 portions of fruit and vegetables per day has been drilled into us and one portion of baked beans count towards that. One portion consists of 80 grams and I’m sure we have more than 80 grams of baked beans on our toast. So, that’s one down, 4 more to go! Baked beans are so low in saturated fat that in half a can there is less than 1% of the daily recommended intake. Eating too much-saturated fat is likely to increase your blood cholesterol and increase the risk of heart disease. This is why it’s so important to eat foods low in saturated fat. So, now you know why beans really are good for your heart! Having a low Glycaemic Index (GI) means, baked beans have slow-releasing sugars. 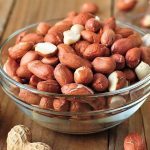 This helps maintain your blood sugar levels which is important especially diabetics as baked beans don’t produce those troublesome blood sugar spikes. Eating low GI foods helps control diabetes and also helps prevent it from developing in the first instance place. Top 5 Health Benefits of Baobab!